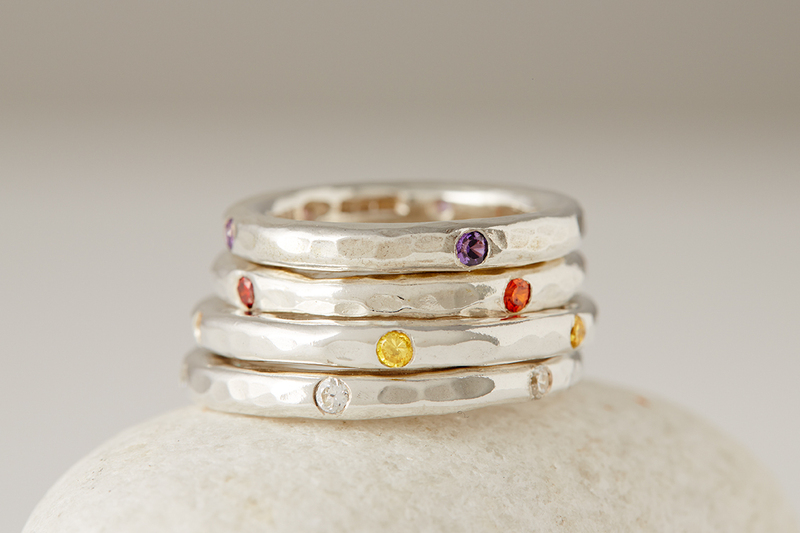 Recycled Silver 3mm round hammered ring with coloured Cubic Zirconia’s flush set. All rings are made by hand on receipt of your order. Rings can take a minimum of 3 weeks to make.